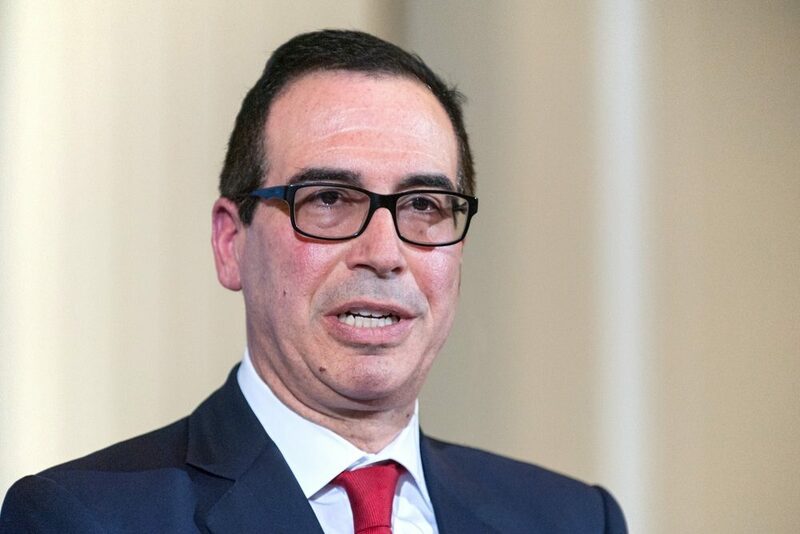 There was some exciting news from the US on Friday morning, as treasury secretary, Steven Mnuchin, is reported to be considering lifting some of the trade tariffs imposed on China. His thinking is that by offering Beijing something, they might be more open to a breakthrough in the trade war. Stock markets around the world reacted positively to the news, with rallying across the globe. Later, Bloomberg reported that China has offered to increase its purchases of US imports over six years to reach more than $1 trillion per year. It is claimed that this would end the US trade gap with China by 2024. Boris Johnson put his foot in it again, when he claimed he didn’t say anything about Turkey during the 2016 referendum campaign despite saying something about Turkey during the 2016 referendum campaign. In a speech that was designed to demonstrate his leadership credentials, the former foreign secretary said “I didn’t make any remarks about Turkey, mate,” in response to a question on his immigration stance. However, within seconds, social media was awash with images of a letter he wrote with Michael Gove, which clearly showed his claim was incorrect. BuzzFeed reported some potentially explosive news which claimed Trump told his former fixed, Michael Cohen, to lie to Congress about the Trump Tower Moscow project. It is the first time that Trump has been accused of telling a subordinate to lie about his dealings with Russia and could land him in hot water. Trump did not deny the allegations on Twitter, instead choosing to accuse Cohen of ‘lying to reduce his jail time’. Democrats have vowed to investigate the report. The plan is to send you all an email tomorrow detailing how to grab hold of your free copy of our latest currency forecasts, so keep your eyes peeled for that. While you wait for that, why not take a look at an article we recently published which details some of the key themes of 2019 to look out for. This year is most likely to steeped in volatility, with the US government still in shutdown and Brexit now just two months away. On Friday, we learned that UK retail sales in December were even worse than expected, particularly if you take fuel out of the equation. Last month, they dropped to -0.9% against an expectation of -0.8%, but excluding fuel, the figure was much worse at -1.3% when the markets had been expecting -0.6%. On an annual basis, the figures were also disappointing, coming in at 3% in December from 3.4% the previous month and some way below the 3.6% predicted. But again, excluding fuel, the figure in 2.6% against an expectation of 3.9%. Sterling dropped back against the dollar on Friday to hover around the $1.29 mark. However, it is fair to say that the week’s moves were fairly encouraging, as they could have been a lot worse. Having said this, the muted moves are almost certainly because the City is waiting to see what happens next in the Brexit negotiations. We can expect more significant moves when the picture becomes clearer, though in which direction depends on the type of Brexit we can expect. It is a quiet start to the week, at least as far as UK economic data is concerned, but tomorrow it picks up a little beginning with the public sector net borrowing figures for December. We will also see the unemployment change for November and average earnings figures. With inflation dipping recently, it will be interesting to see if we are all that bit better off. Trump is never far from controversy and Friday was yet another example. However, the latest report from BuzzFeed is particularly explosive, as it claims Robert Mueller’s investigators have learned Trump told his former fixed, Michael Cohen, to lie to Congress about the Trump Tower Moscow project. Cohen has said that the planning for the tower continued when Trump was a candidate for president. Democrats, who recently gained control of the House, have vowed to investigate the report, which could leave Trump open to accusations of an obstruction of justice. This is potentially massive news, but the contents of the report are yet to be verified. Interestingly, Trump did not deny the accusations and neither did his current lawyer, Rudy Giuliani. This is a story that could have some legs, especially when we consider that the first Article of Impeachment for Richard Nixon was Obstruction of Justice. No releases of note on the schedule today and tomorrow we will only see existing home sales for December. Wednesday isn’t much busier, but we will see mortgage applications in the week ending 18 January. It picks up on Thursday, with manufacturing and services PMI, as well as initial jobless claims up to 19 January.